After having completed the CLIC–SR (Combining Local Innovative Capacity with Scientific Research) project funded by the Rockefeller Foundation, Prolinnova–Ethiopia organised a national stakeholders meeting. 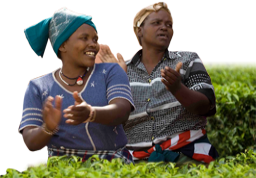 The objectives were to present and discuss the outcomes of the project, to assess the contribution of small-scale farmer innovation to agricultural research and development in Ethiopia, and to define the way forward for the Prolinnova–Ethiopia network. A report on the workshop can be found here. 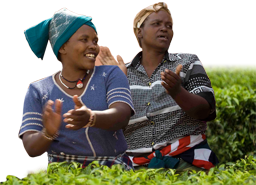 The Prolinnova-Kenya report on CLIC–SR (Combining Local Innovation Capacity with Scientific Research – Strengthening Community Resilience to Change) outlines the objectives and achievements within the budget-neutral extension period of this project funded by the Rockefeller Foundation. Within the framework of the project “Strengthening Community Resilience to Change: Combining Local Innovative Capacity with Scientific Research” (CLIC–SR) funded by the Rockefeller Foundation, Prolinnova–Ethiopia (PE) has published a policy brief entitled “Creating a space for local innovation in agriculture”. In this report, the Prolinnova-Ethiopia coordinator describes a visit to the CLIC–SR (Combining Local Innovative Capacity with Scientific Research) project partners in the Axum area in September 2014, including a workshop to review the progress of farmer-led joint experimentation. He brings interviews of farmers and scientists involved in research and innovation related to pollination by bees, field drainage and women’s involvement in on-farm trials. The new coordinator of the Prolinnova Country Platform in Ethiopia, Gebeyehu Woldemichael, visited Enebse Sar Medir in Amhara Region, one of the sites where the Prolinnova activities to strengthen community resilience to change are being carried out as part of the CLIC-SR (Combining Local Innovative Capacities with Scientific Research) project funded by the Rockefeller Foundation.